Whether you’re moving your business out of your home or the office space you’ve been working in is too small for your growing company’s needs, the prospect of looking for commercial space can be overwhelming. You can’t be too careful when signing a lease for space. Choosing the wrong space could hurt your business if clients find it too difficult to access or you don’t get the amenities you require. Download this checklist to help you make the right decision in choosing commercial space. How large or small an area do you need? Do you need walk-in traffic or simply industrial space? Do you want an anchor store nearby? Go online to find out the typical cost of leasing commercial space in the area. you’re considering, so you have a point of reference. CityFeet.com, LoopNet and Commercial Search are good resources for this. Does the broker have a specialization in a geographic area or in a specific type of commercial space? How much experience does the broker have with small businesses? With businesses in your industry? How many other clients does the broker work with at one time? What resources does the broker have for market research? What is the broker’s strategy to find you a space? Can the landlord insist on changes you didn’t budget for, such as soundproofing a space you plan to use as a restaurant or installing ventilation in a space you plan to use as a nail salon? Do you need a business license, a certificate of occupancy, or a building permit? What happens if you can’t get a building permit? What are the traffic numbers? The agent should have car counts and community demographics. What is the parking situation for both employees and customers? Is there room for expansion or the option to move to a larger space in the same building/center if it becomes available? Can you secure a non-compete clause to ensure no similar business can open in the building/center? building/center? 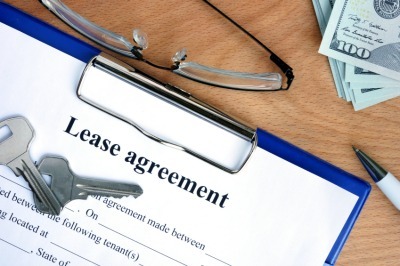 Under what conditions can you terminate the lease? For example, what if a major neighboring tenant chooses to leave the building/center? What if a fire or flood renders your space unusable? What if access to or visibility of your space is restricted by changes to the building/center? If you are subletting a space, are there any restrictions in the existing tenant’s lease that might limit your intended use of the property?